I was infatuated with computers from early childhood, first with the Commodore 64, on which I wrote my first simple programs in BASIC and dabbled in 6502 assembler, but I was too young too really understand assembler language well. I did use Simons’ BASIC a lot, which made working with graphics and music much easier than plain Commodore BASIC. 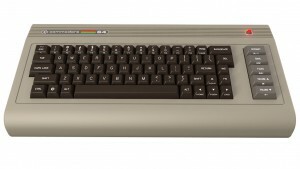 After the Commodore 64 came a computer which I think had the biggest influence on me getting really interested in programming, graphics & audio – the revolutionary Amiga. There it was, this computer that was light years ahead of anything else available, offering so many hours of great games, so much fun doing graphics & animations and trying to compose something resembling music. I even attempted to make a real Amiga demo written in assembly, but I never really finished it – at that time it wasn’t very easy getting much help (remember, this was before internet existed!). I stuck with the Amiga for a long time, long after Commodore went under and long after it was clear that nothing new will come out. It was around 1997 or 1998 that I got my first PC, and while the Amiga was this magic box, full of possibilities, the PC just didn’t have the same appeal as the Amiga. To me, it wasn’t much more than some ‘business’ beige box that I could do homework on. The PC brought quick technical advancements though, and by the time 3D graphics & games got widely popular, Amiga really couldn’t keep up. I soon forgot about the Amiga almost completely – there’s so much other things to do when you’re in your teens! It was quite a few years later, when I accidentally saw that there is a new AmigaOS 4.0 being made, and the developers had some sort of a tour and they were coming to Slovenia, and I thought “oh yeah Amiga, is that thing still alive? ?” I went to the presentation and I quickly remembered how much I loved that computer. 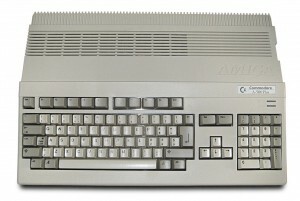 It didn’t take long for me to buy an Amiga 500, reliving some of the good times I had with it back in the day. By that time I was already half way through my studies at Faculty of Electronics, University of Ljubljana, and while the university provided more theoretical knowledge, I started to dabble in electronics in my free time, burning a bunch of capacitors and ICs (there’s nothing like the mess made by an exploded electrolytic capacitor!). I did make some nice projects, though, like my parallel port EEPROM programmer or a crazy complex star-shaped LED Christmas-lights-sort-of-thing, driven by a big bunch of 47-series logic gates and a small 4051 (a 8051 variant) microcontroller with a whopping 128bytes of RAM. I’ll try to dig up some notes on those projects and present them on this page sometime. But one of the things that my studies introduced me to was this great little thing called an FPGA, which is like a custom digital circuit inside a chip. It didn’t take long for me to start playing with them in my free time, first with the CPLD variant, and later with some smaller FPGAs. 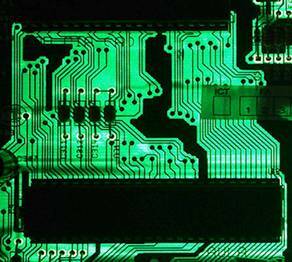 I was always more of a programmer than an electronics person, doing all sorts of programming jobs, from online banking systems, databases, embedded systems etc. I even dabbled in UNIX / Linux / Windows servers and networking services for a long time – I still remember using Slackware Linux and reading through all Linux HOWTOs that I could find. But this FPGA thing was very intriguing to me, so when I learned that there is a company doing ASICs in my small home country, I couldn’t resist the chance and I started to work for them as an ASIC engineer. I still work there, even though we changed the company name and owners a couple of times, and I no longer design integrated circuits. At that time I learned about a project that one guy named Denis Van Weeren did called minimig, which was a whole Amiga computer running on an FPGA, and I instantly saw a great opportunity to join my interests in retro computers, FPGAs, programming & electronics. I bought an Altera DE1 board, which is one of the FPGA boards that had a minimig core available for it, and I started to look into how I could help and make the core better. And that leads to the Raison d’être of this page – describing some of my experiments with re-implementing old computers – more specifically the Amiga – in the FPGA, my electronics & programming projects sprinkled with some graphics, photography & music creations. Comments, critiques, questions and corrections are welcome!